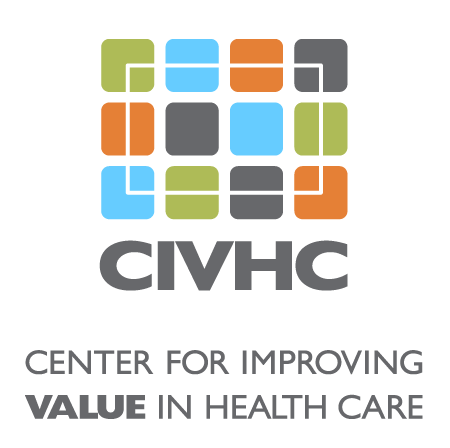 Listen to CIVHC CMO, Jay Want MD Chat with HopeWest’s President and CEO, Christy Whitney. Check out the slides from the Chat. Death is a taboo topic in America. In many cases, the reticence to discuss end-of-life concerns extends to serious diagnoses, such as cancer, which may not be terminal. Avoiding these conversations does a disservice to both the patient and family members. HopeWest helps Coloradans on the Western Slope face these challenging situations with grace. Begun with six employees in 1993, HopeWest now serves thousands of patients and grieving family members in Rio Blanco, Mesa, Montrose, Ouray, and Delta counties. A state-of-the-art facility in Grand Junction and 5 satellite offices act as bases of operation for 300 employees and more than 1,500 volunteers covering over 7,000 square miles. Every staff member and volunteer is committed to providing person-centered care to patients and those supporting them, working to ensure that whatever time a person has left is as comfortable and meaningful as possible. HopeWest is dedicated to profoundly changing the way the community experiences serious illness and grief – one family at a time. Christy Whitney, President and CEO, highlights three HopeWest programs that are improving outcomes and reducing costs for these most vulnerable patients: Transitions, Living with Cancer, and Journeys. Hospice and palliative care nurses work with patients in the Transitions program to navigate their conditions through monthly visits by nurses, social workers, and spiritual counselors. Telephone support is available around the clock for consultation and symptom management. Living with Cancer extends outpatient services of St. Mary’s Oncology Clinic, providing continuity of care for patients and their families. Emotional and psychosocial support, as well as symptom management and 24/7 provider availability via telephone, help those in the program confront the reality of a cancer diagnosis. Patients who no longer qualify for hospice care under the Medicare criteria are enrolled in the Journeys program, which ensures continuity of treatment and case management. HopeWest carries on treating these patients by offering emotional and psychological support, symptom management, and telephone consultations. Whitney explains that “reimbursement for these programs is spotty, as most traditional health insurance companies and Medicare do not cover these needed services.” Funding from the Caring for Colorado Foundation, the Colorado Health Foundation, and the Daniels Fund has allowed HopeWest to develop these projects, and in the case of the Transitions program, to expand the service area to rural Meeker, Colorado. HopeWest staff also coordinates with area Emergency Department physician groups and discharge planners to ensure that discussions regarding advanced directives and goals of care take place in a more appropriate setting. Individuals can be referred by Emergency Room providers, and HopeWest team members will follow up with the patients and then close the loop with the referring doctor. HopeWest’s innovative tracks of care and patient-first philosophy has led to national recognition as a pioneer in palliative care. The National Hospice and Palliative Care Organization featured the organization as the cover story of the Spring 2017 newsletter, providing an in-depth look at how HopeWest remains at the forefront of care for this vulnerable population. Originally featured in Healthy Transitions Colorado’s September 2015 newsletter.